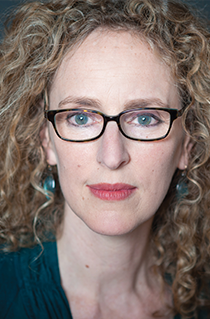 Vivienne is in her third full season as a company member and PlayMakers’ Producing Artistic Director. For 12 seasons, she served as Artistic Director of the renowned Chautauqua Theater Company and Conservatory, presiding over the company’s transformation into one of the best summer theatres and most competitive summer training programs in the country. She directed over fifteen productions at CTC including an acclaimed re-imagining of Romeo and Juliet featuring the Chautauqua Symphony Orchestra, Theatre, Opera and Dance companies. She brought CTC’s production of Amadeus, performed with the Chautauqua Symphony Orchestra and Buffalo Philharmonic, to the Virginia Arts Festival featuring PlayMakers company member Ray Dooley. She has helmed productions of The May Queen, Three Sisters, Love Alone, RED and In The Next Room for PlayMakers, directed extensively for The Shakespeare Theatre of New Jersey, and directed The Heidi Chronicles for Trinity Repertory Company. As an actress, Vivienne has worked on and off-Broadway, in film and television, and at many of the country’s most celebrated theatres. She has appeared with Gene Wilder, Al Pacino and Blythe Danner, performed with Maggie Smith in the London revival of Edward Albee’s The Lady from Dubuque, and received an OBIE Award for her performance in Lee Blessing’s Going to St. Ives. Vivienne is a graduate of Brown University and NYU’s Graduate Acting Program. As an educator, she has directed for and served on the faculty of some of the nation’s foremost actor training programs, including The Juilliard School, UNC-Chapel Hill’s Professional Actor Training Program, Brown/Trinity Rep MFA Program and at her alma mater, NYU’s Graduate Acting Program. She is the 2017 recipient of the Zelda Finchandler Award given by the Stage Directors and Choreographers Foundation.